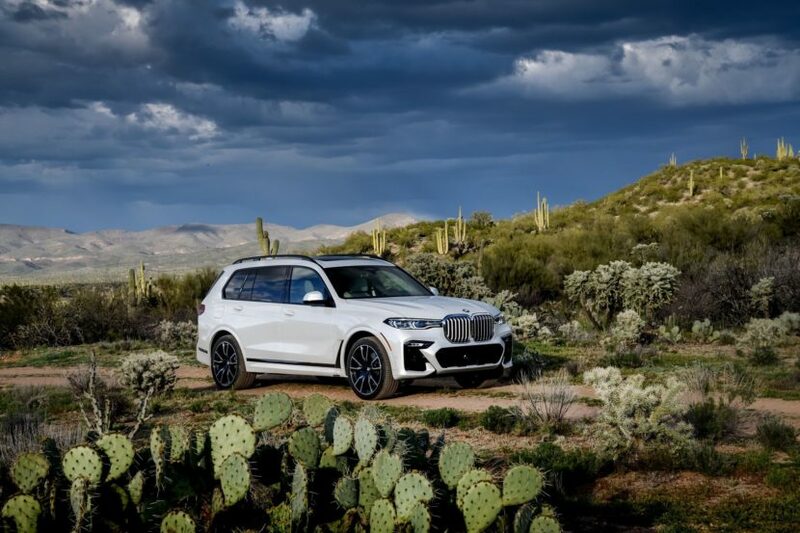 The top model of the new BMW X7 is – for now – the xDrive50i. 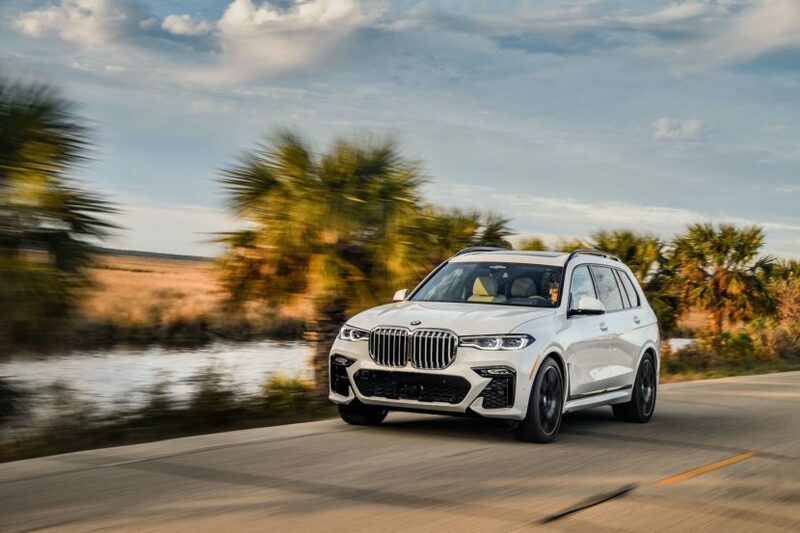 There are rumors that next year this particular model will be replaced by the X7 M50i, but until then, 456 HP and 650 Nm of torque (479 lb-ft) is the best you can get from the BMW’s largest SUV. We’re now in Southern California testing the all-new X7, on and offroad, and a full review will be coming up. The model at hand is painted in the Mineral White Metallic color and paired with a luxurious interior and Tartufo Merino Leather. There is also the optional Glass Package which adds a bit more luxury to the cabin. 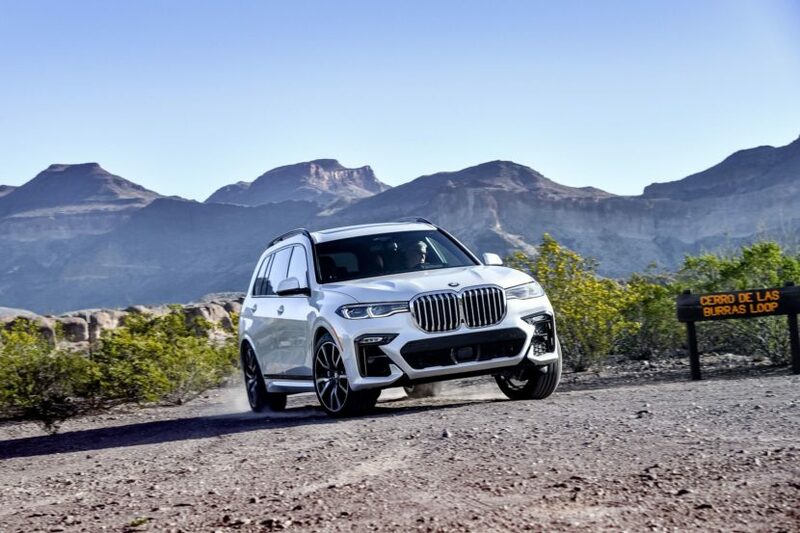 Jörg Wunder, the project manager for the X7, has often said that the X7 was developed to be more of a 7 Series to the X lineup, instead of just a larger X5. The X7 is built upon BMW’s new modular CLAR platform, same as the new X5 and G20 3 Series. Many of the suspension parts are shared with the X5, but modified to X7’s specs. The front and rear multilink units are supported by stand­ard adaptive dampers and air springs. As we tested last year, there is also an Off-Road package which offers underbody protection, a limited-slip rear differential and four ride-height- and stability-control-altering xOffRoad modes (xSand, xRocks, xGravel, and xSnow). 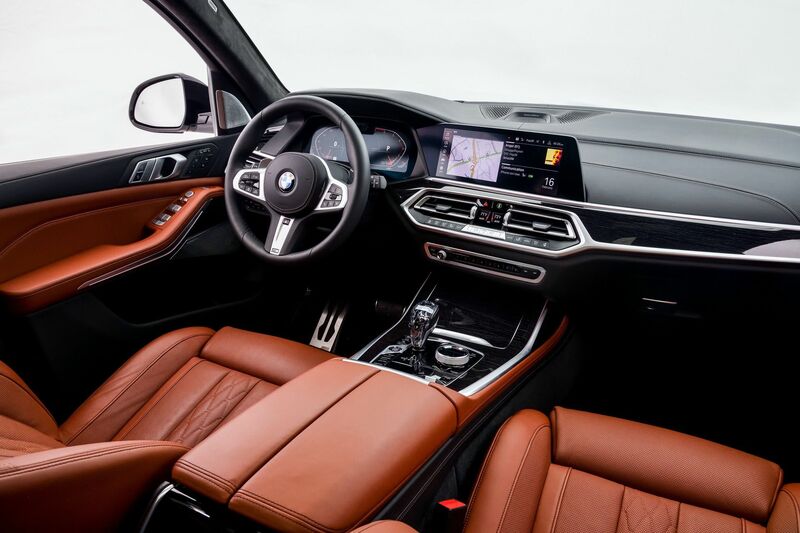 Seating options are where the X7 separates itself from the X5. In the second row, the bench is standard but captain’s chairs are optional. Captain’s chairs in the second row are $600. The X5 can also be optioned with a third row, but it’s really meant to sit small children. Wireless Apple CarPlay and 4G LTE Wi-Fi connectivity both come standard. Gesture Control is standard too. Overall, the list of options and features in the X7 is one of the most comprehensive in BMW today’s lineup, but more on that in our review coming up this week. Stay tuned in the mean time on our social media channels for exclusive reports! Also, click below for a large photo gallery.